Ralph Hasenhuttl has signed a two-and-a-half year contract to take over as the new Southampton manager, but what do we know about him? The 51-year-old swiftly emerged as the favourite for the job following the sacking of Mark Hughes on Monday and was named as the club's new permanent manager on Wednesday. But who exactly is he? What's his coaching style? And what's behind those comparisons with Liverpool manager Jurgen Klopp? Hasenhuttl was a striker during his playing days, starting out in his native Austria before spells in Belgium and Germany. He won eight caps for his country, scoring three goals, and finished his career in 2004 following a spell with Bayern Munich's second team. Hasenhuttl remained in Germany for his move into coaching, starting with a two-and-a-half-year spell in charge of SpVgg Unterhaching between 2007 and 2010. It was only after that, however, when he took over at third-tier rivals VfR Aalen in 2011, that he began his climb up the coaching ladder. Aalen were hovering above the relegation zone when he took over midway through 2010/11, but after avoiding the drop that season, he guided them to promotion to the second tier in his first full campaign in charge. Hasenhuttl's side achieved a top-10 finish in their first year in the 2. Bundesliga, but he left at the end of it following disagreements with the club's hierarchy. He’s a good guy, very lively, aggressive football, with pressing. It sounds like a win-win situation. Hasenhuttl got the Ingolstadt job in October 2013. After guiding them from the bottom of the second tier to a 10th-placed finish in his first season, he led them to a historic promotion in 2014/15, finishing top of the 2. Bundesliga with only four defeats from 34 games. Ingolstadt began their first ever season in the Bundesliga as one of the favourites for relegation, but they proved a tough opponent. Hasenhuttl's team had creativity in Pascal Gross, now of Brighton, but above all they were physical and difficult to break down. Eventually they finished the campaign in 11th place, well clear of the danger zone, with Hasenhuttl departing for newly-promoted RB Leipzig at the end of the campaign. There, the talent at his disposal allowed Hasenhuttl to follow his attacking instincts. His RB Leipzig side played with relentless energy and devastating directness, exceeding all expectations to achieve a second-placed finish in their first season in the Bundesliga. Hasenhuttl became a household name in Germany while some of his players, among them Naby Keita and Timo Werner, began to turn heads across Europe. RB Leipzig embarked on their first European campaign under Hasenhuttl in the following season, reaching the quarter-finals of the Europa League after dropping out of the Champions League at the group stage, but despite a respectable sixth-placed finish in the Bundesliga, Hasenhuttl departed the club following an apparent breakdown in his relationship with sporting director Ralf Rangnick. Hasenhuttl's high-pressing tactics and his preference for a tracksuit over a suit are not the only similarities with Klopp. Like the Liverpool manager, he is also an animated and passionate character known for his outspoken and often amusing appearances in front of the media. "Ralph Hasenhuttl could be a good fit for Southampton and I'm sure people would quickly start to like him in the UK," Sky Germany reporter Max Bielefeld told Sky Sports News. "We remember a lot of his press conferences here in Germany where he used to joke around with the journalists just like Jurgen Klopp does. 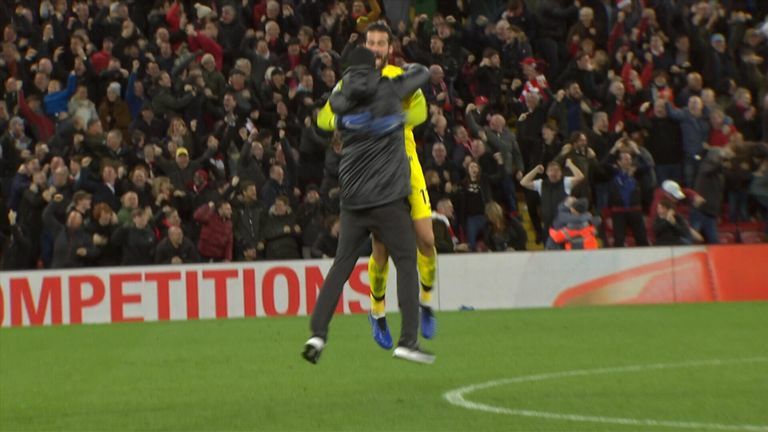 "And, like the Liverpool manager, Hasenhuttl is an emotional guy on the sidelines, so sometimes he runs on the pitch after important goals to celebrate with his players just like Klopp did this weekend against Everton." Hasenhuttl also has a reputation for blooding young players, something which will appeal to Southampton, and a high-intensity playing style designed to get supporters off their seats. "Hasenhuttl is highly respected in Germany for his track record with developing young players," added Bielefeld. "At RB Leipzig his style of play was built on a high-pressing and narrow 4-2-2-2 system. He used to recruit agile and physically powerful players which is important for his style of play. "I think the current Southampton squad could be a good fit for his strategy. Hasenhuttl really wants to create an experience for the fans. I'm sure all Saints supporters would like his approach to the game." Hasenhuttl has never shied away from the comparisons with Klopp, revealing in an interview with the Bundesliga website earlier this year that they share many of the same ideas on football having gained their coaching qualifications together. "[Klopp and I] did our coaching badges together and we know each other very well," he said. "I think we appreciate a similar philosophy on football - we want to play a high tempo game, we want our guys to sprint around, press well and these are elements which make the game livelier and varied and get people excited. "I don't know, at times I run a bit too far onto the pitch. But that's only in exceptional circumstances, and Jurgen does it too when a goal is scored!"